This special offer is for 50% off of the ticket price! No promo code needed to apply discount to tickets. Take advantage of this 50% online only discount today! A comedic circus-style performance for the young and young at heart. 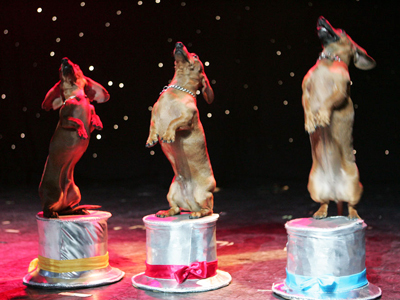 Animal lovers will delight in this show using rescued animals who steal the show performing various tricks. Also featuring juggling, gymnastics and other circus acts. Voted Best Family Show in Vegas! Russian-born Popovich is a fifth generation circus performer who brings his talents and skill from European circuses to the Strip with a variety of circus acts and trained animal skits which will delight all ages. 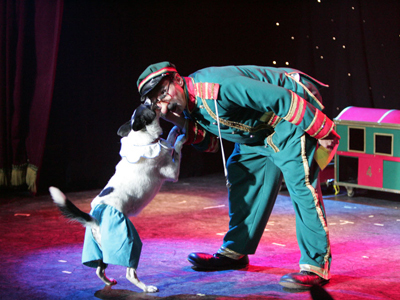 Although Popovich is the star of the show with his comedy and juggling, the rescued animals steal the spotlight with their trained antics. Popovich also has several featured artists who showcase their talents throughout the show, including his daughter who dances and twirls a baton. She also has a hand with the animals in a skit with the dachshunds. 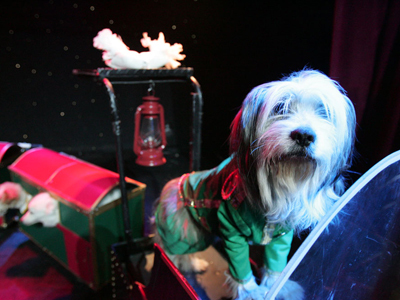 With over 30 trained animals including cats, dogs, parrots and a miniature horse, the revue showcases the talents of each animal. You will be laughing from the beginning to the “tail” end! An old-fashioned traditional style circus act that is fun for the whole family. 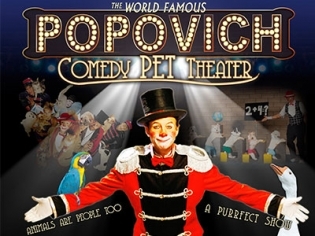 This show was alright, but I wish it had focused on the pets more than Popovich. I wouldn’t spend this much next time around, if there is one. We really liked the European music. The kids enjoyed all the music and Mr. Popovich’s talent. There were some acrobatics which the kids were drawn to. I would recommend seeing this one, but don’t spend a ton of money on tickets. Who ever trained these animals, Could you please come to my home? The acts were so much fun! All of the animals are Adorable! 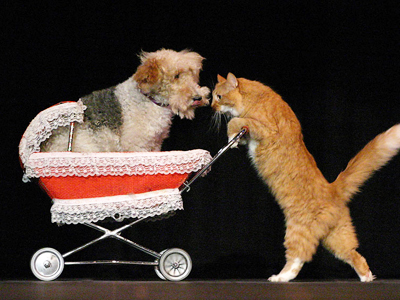 I am a Huge Pet Lover so to watch these acts was a Great time! I loved this show and highly recommend it to anyone, Especially with kids! A FANTASTIC SHOW! This is one of the best shows I have seen here in Vegas. It is great for the whole family. The animals are adorable and it is amazing how they all interact with each other. It is one of those shows you can see again and again. This is the perfect show for the family who loves animals. Our son loved watching the different tricks the animals were able to perform . He is now trying to teach our cat tricks! A great inexpensive show for the whole family.